How to Erase iPhone with Broken Screen? A phone is of great importance and value, especially to the owner. In our present world, everyone owns an iPhone. I dare say it is our very own most reliable companion. With several private information stored in our iPhone, you can’t have it useless as a result of a broken screen. Fixing the screen would be your next option of course, but can you trust a total stranger with your personal info? 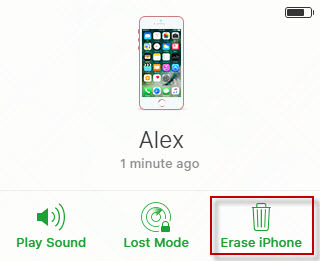 A lot of people have been searching for solutions on how to erase data on iPhone with broken screen, and that is why we have decided to put together this piece to help guide you. Before erasing the data on your iPhone, it is advisable you create a backup of your iPhone on your Mac or PC using iTunes. If you’ve done that, you can proceed to the next steps detailed below. An iPhone with a broken screen would definitely need repairs. The question is, do you trust your mobile telephone technician to not violate your privacy and steal some really important information from your phone? Your personal data in the wrong hands can lead to a whole lot like identity theft, credit card theft, etc. which is best to avoid. To escape all that you’ll need to erase iPhone to keep you safe. So how do you erase iPhone with broken screen? There is a powerful application designed to easily erase your data, ensuring you’re 100% secured. 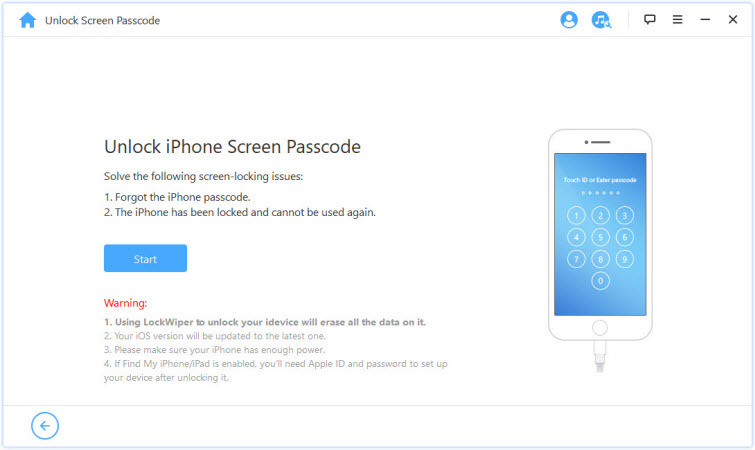 Say hi to iMyFone LockWiper, an advanced iOS tool that erase iPhone with broken screen. Erase iPhone with broken screen professionally. Support locked, disable, and broken iOS screen. Perfectly unlocks 4 digit, 6 digit passcode, Touch ID, Face ID. Compatible with most iPhone models. iMyFone LockWiper has a high success rate. Step 1 Open iMyFone LockWiper software on your PC and click "Start". 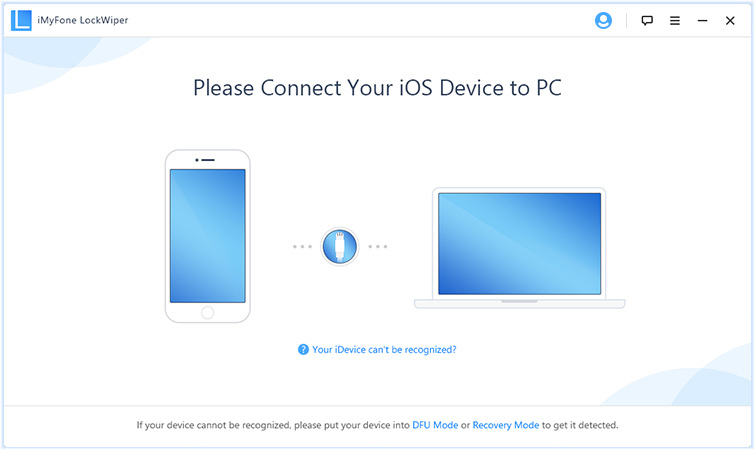 Connect your iOS device to the computer. Step 2 After that, connect your device using an Apple USB cable to the computer. 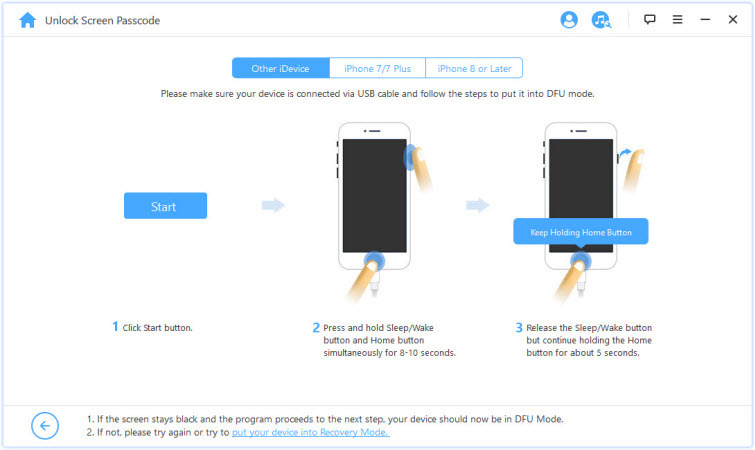 Step 3 Boot your iPhone/iPad into DFU mode. To do this, follow the instruction on the interface. 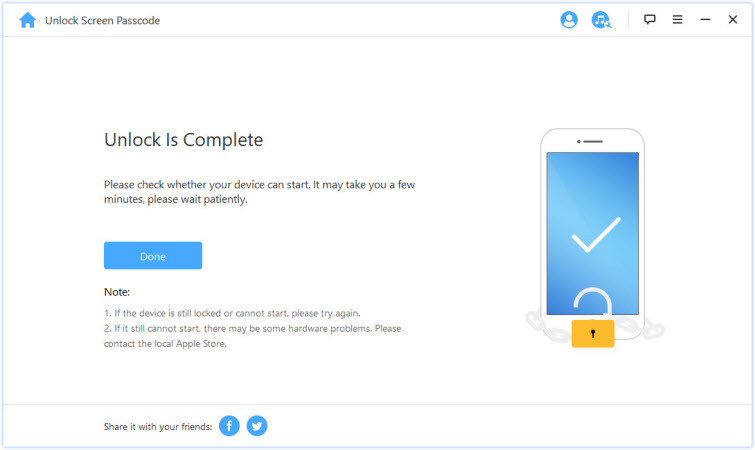 Step 4 Confirm iOS device information. Once your device is in DFU mode, iMyFone LockWiper will show the device information, including iOS version and phone generation. Step 5 Click “Download” to download the firmware. 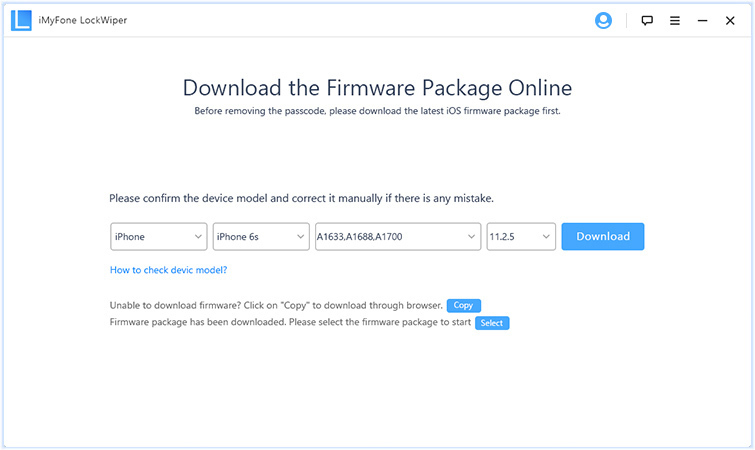 Step 6 When it finish, try to verify the firmware. 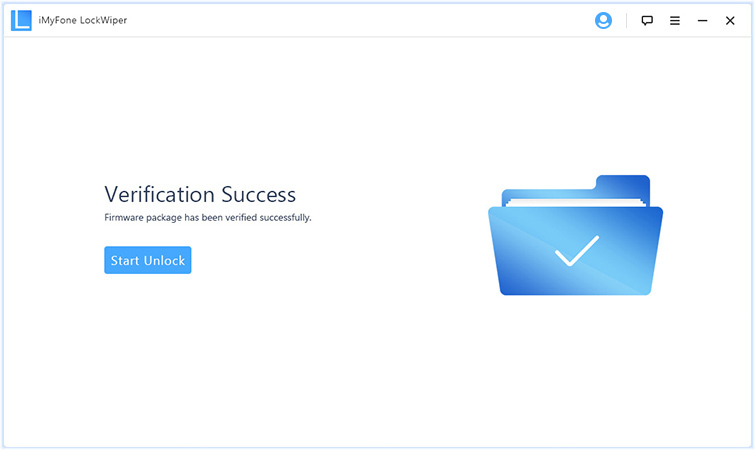 Step 7 When it verify successfully, click “Start Unlock” to begin the unlocking process. Step 8The process will only last a few minutes before your iPhone is unlocked successfully. 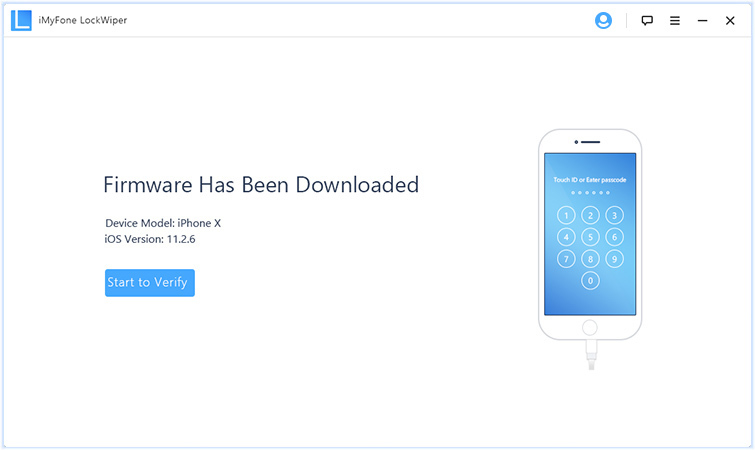 Please note that the unlocking process will also wipe your iPhone/iPad. Note that iCloud only works if you have setup “Find My iPhone” on your device. Follow the steps below to wipe iPhone with broken screen using iCloud. Step 1On your PC or Mac, visit icloud.com and sign into your iCloud account using your Apple ID and password. Step 2Once you’re signed into your iCloud account, click on “Find iPhone”. Step 3Next, click on the “All Devices” option located at the top of the screen and then click on your device. Step 4Once your device is selected, click on “Erase iPhone”. Step 5On the pop-up, click on “Erase” to confirm that you do want to erase the data on your iPhone. This method works only if your phone is still able to connect to iTunes. Follow the steps below to wipe iPhone with broken screen using iTunes. Step 1Kick off iTunes on your computer, and connect your iPhone to your computer with a USB cable. Step 2Click on the iPhone icon in iTunes. Step 3Next, click on the “Summary” tab in the side menu and then click on “Restore iPhone”. Step 4Click on the “Restore” button in the Pop-up to confirm. Now, every single data on your iPhone will be erased. The two data erasing methods above might give some chances for recovery with some data recovering tools. For privacy protection, it is best to switch to a non-recovery method to erase all iPhone data. For example, you can try iMyFone Umate Pro.